One of the many highlights for enthusiasts attending the Monterey Week is the annual Automobilia Monterey event, held August 10-11, 2010 at the Embassy Suites in Seaside, California. Celebrating its 8th anniversary this year, the focus of Automobilia Monterey has always been to present a place where car collectors can immerse themselves in genuine automobilia, the rare artifacts that manufacturers created to accompany the cars they were racing, selling, or simply enthusiastic about all those years ago. Today, automobilia has become an entire market in and of its own. Vintage models and toys of those iconic cars of yesteryear now command top dollar amounts, some into the thousands. Factory posters and literature are yet another part of the automobilia market that frequently enjoys significant appreciation today. 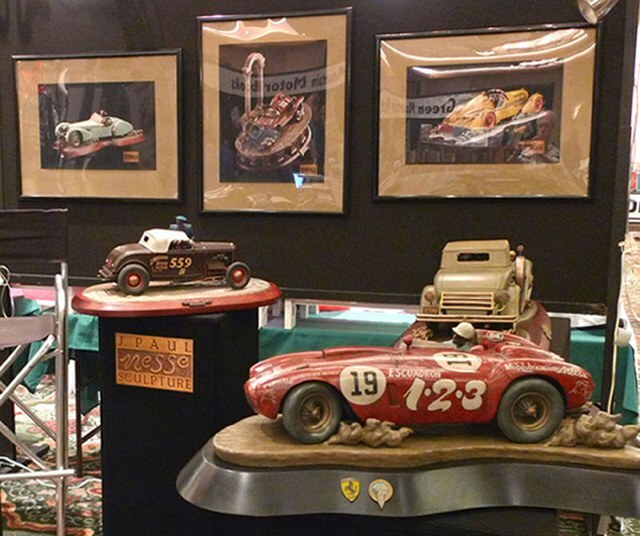 What Automobilia Monterey offers is the opportunity to deal with the finest vendors in this niche market and to put the collectors mind at ease that what they are buying is a genuine product and not a 21st century reproduction. With such a successful event for 2010 now in the past, the future looks bright for this spectacular venue. Dates for 2011 have been set for August 16, 17 and the location will once again be the Embassy Suites in Seaside, CA. For more information, go to www.automobiliamonterey.com.